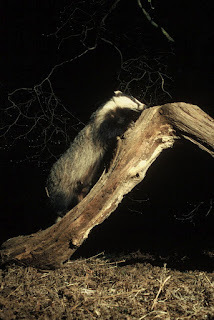 Forest of Dean Wildlife & Nature Diary: bTB - Badgers and the Cull! bTB - Badgers and the Cull! 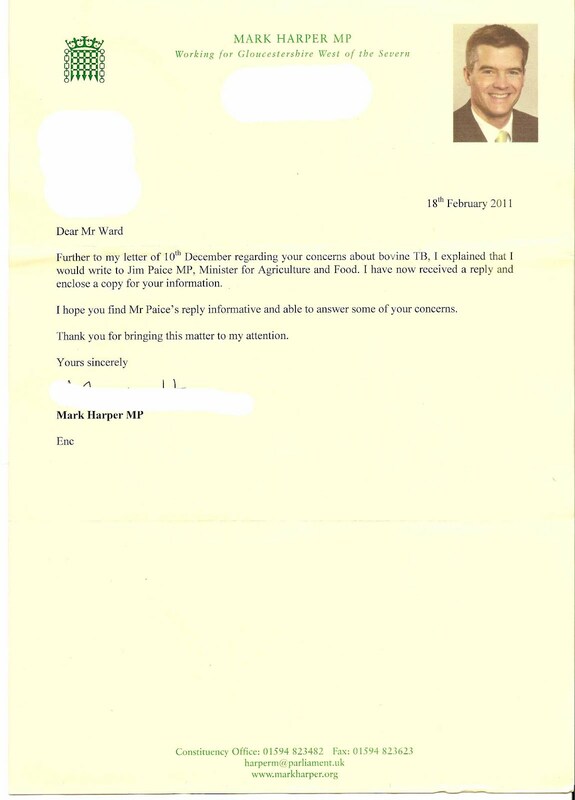 During the month of November 2010 I contacted my local MP, Mr. Mark Harper on the issue of bTB and my concerns regarding the proposed badger cull. 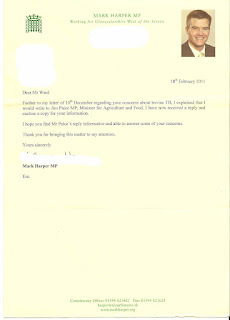 It took a while, but I finally received a reply. 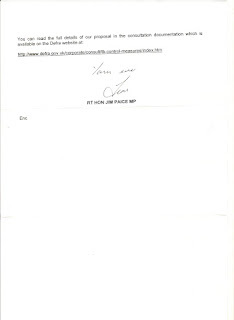 Not from my local MP, but from MP Jim Paice "Minister of State for Agriculture and Food." He did have an answer for everything I threw at him, but he failed to "directly" answer many of my questions and concerns. Maybe he thought I would lose interest and he could shut me up with a 6 page reply. You can read the 6 page reply at the end of this post. Sadly the cull has now been given the green light in Gloucestershire and this is very disappointing as there is an alternative. 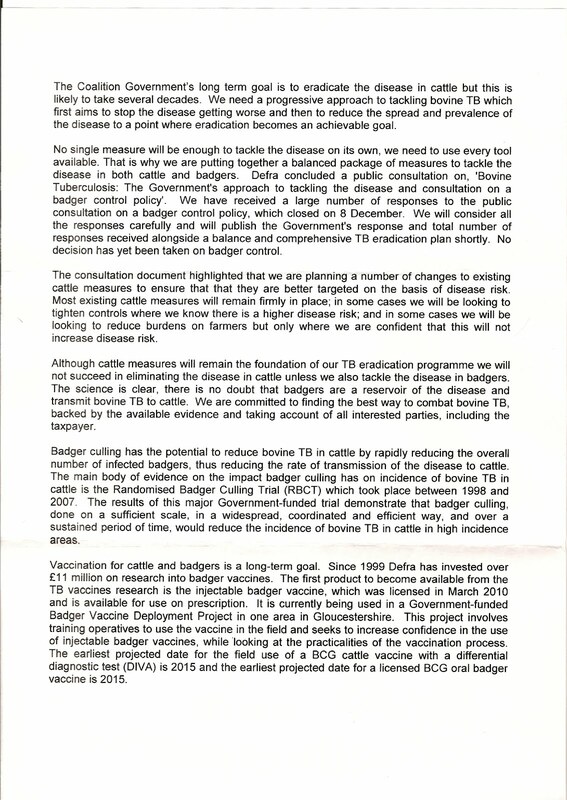 A vaccine is available, it has been trialed by Gloucestershire Wildlife Trust and it works, yet our Government is not interested in investing in a vaccination; instead they have invested in a trial cull, which will see free running badgers shot at night. Not all of these animals will be carrying bTB, so this means lots of healthy badgers "will" inevitably be shot! For them to be able to establish if this trial cull works, they will need to eradicate all badgers from the chosen area and to make matters worse, the reason it has been labeled a trial cull is because they are not sure if shooting free running badgers is the most humane way to do it! If they persist with their proposed cull, killing all the badgers in the designated areas will not solve the problem as the areas will also have to be sealed off while being cleaned and disinfected. 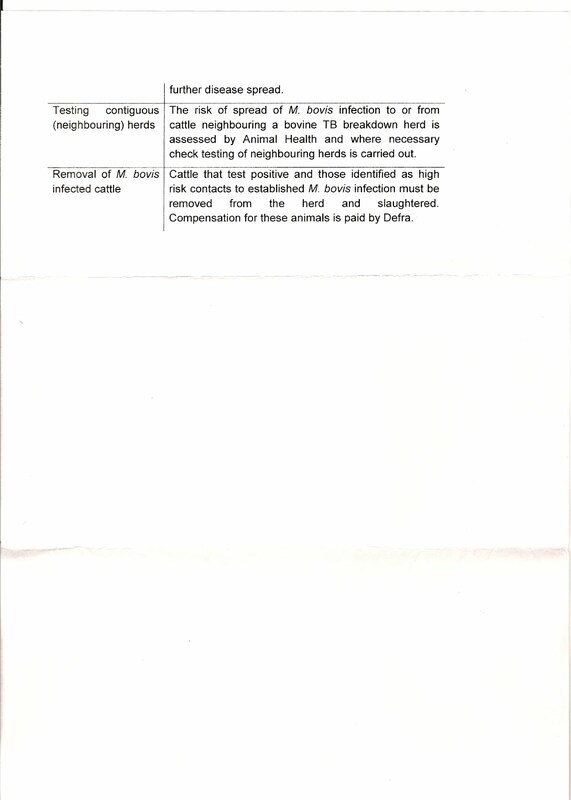 Is this going to be possible on small holdings and at farms, which have large herds? Also, how are they going to stop other badgers from taking up this new territory after they have eradicated all the badgers? 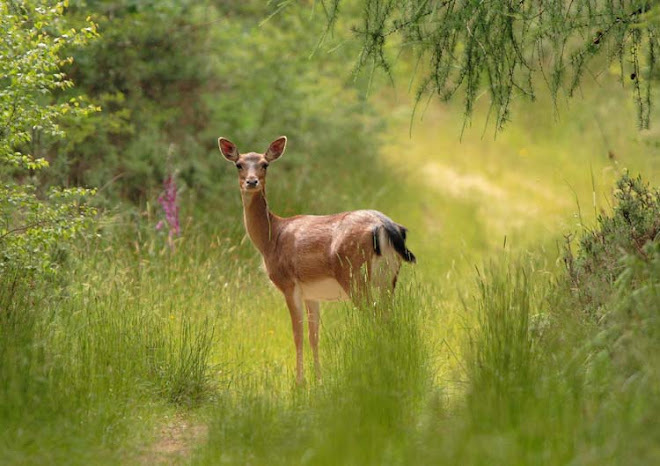 After all that's what all animals do; search out new territory! The shooting of just one badger at night could cause the entire colony to flee the sett in search of safer ground. What if any, or all of these badgers are infected with bTB! I don't have to spell out what would happen then, do I? 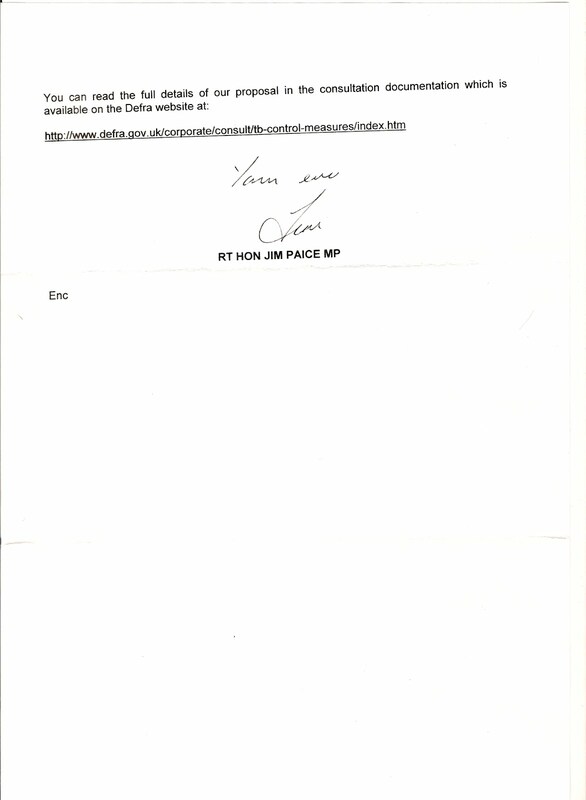 Here is my reply from MP Jim Paice, dated 8th February 2011. 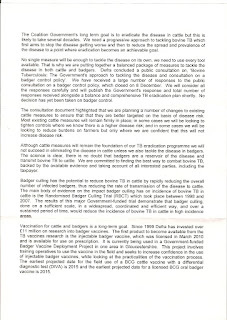 DEFRA has invested over £16 million in badger TB vaccine Research and Development since 1994/95. 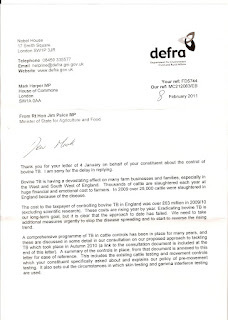 So why is it that the badger cull vaccine deployment fund is only £250,000? Where did bTB come from? 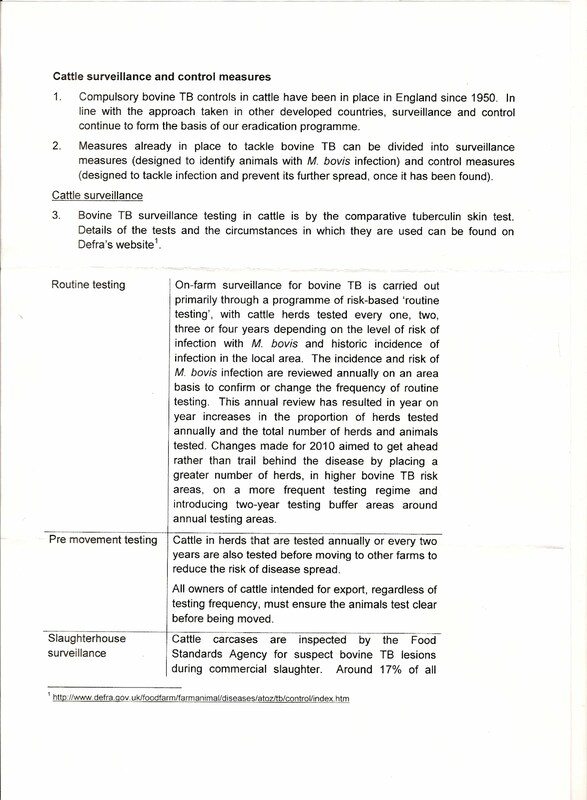 Was it the badgers who transmitted this disease to cattle, or did the cattle transmit it to the badgers? 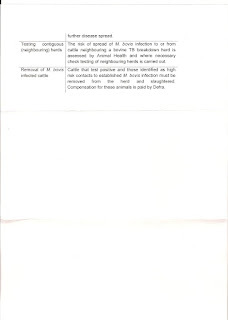 It has been widely documented that typical farm conditions harbour bTB. Lets face it, the vast majority of cattle on our farms have to stand in their own urine and feaces, in damp, dingy, humid sheds and barns. 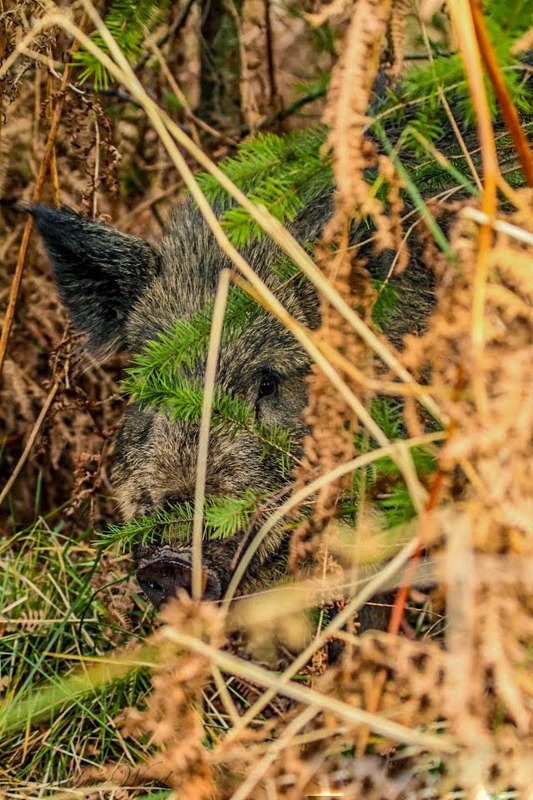 These conditions are ideal for the bTB bacteria to survive! Please CLICK HERE to add your support for the badger. It's a classic 'we have to do something situation', even if that something isn't likely to make a meaningful difference. 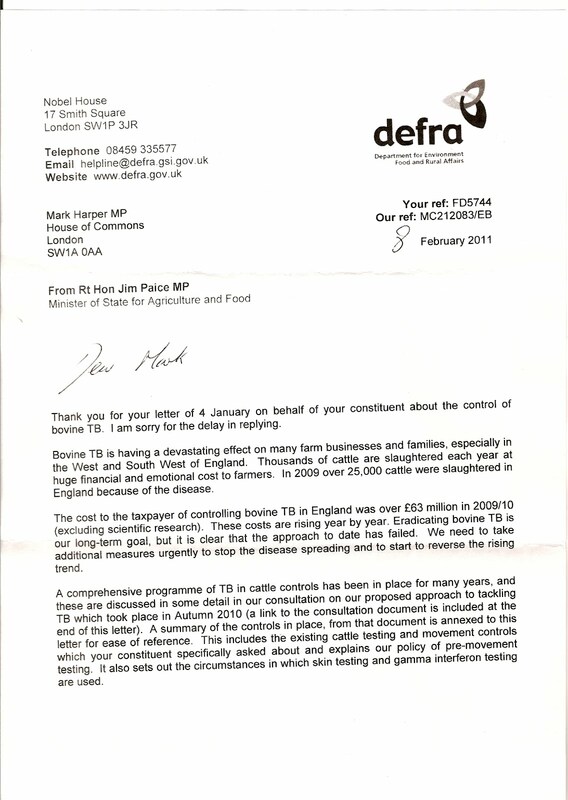 That said TB is actually a very complex disease and I'm not convinced a vaccine will be an answer either. 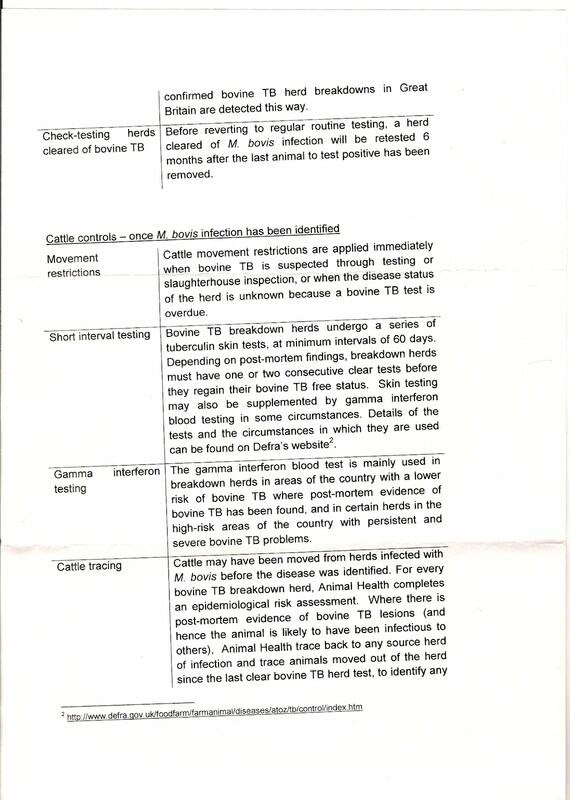 We've had a human TB vaccine (BCG as well) for years. It's good at stopping young children getting TB meningitis, but in adults it is less effective against the classical lung disease, at best in the UK being 60-70% protective (although that is still a lot more than the 16% difference the cull is suggested to make). And in some parts of the world the presence of similar, but non-TB, bugs may paradoxically even increase the problems from the disease in vaccinated people. 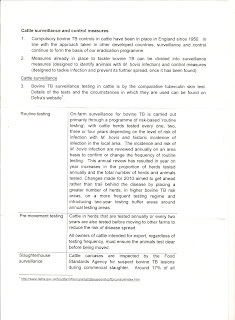 So I find it hard to assume the bovine vaccine will be any better. The answer has to lie in farming practices, not killing badgers. It is going to be a tough one Brian, even if they agreed to the vaccination trial. This disease is dibilitating and for sure it has to be done as I hate seeing any animal suffer, wild or domestic. 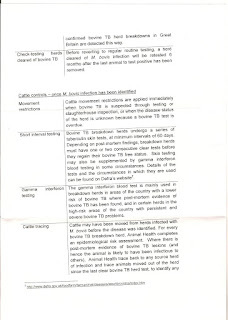 However, if the vaccine has the same success rate, or better when compared to culling then surely the most humane way of tackling this disease is vaccination. I have every sympathy with the farmers who watch as their cattle develop this disease and are then consequently destroyed as a result, but like you said, farming practices have to be improved if we are to get on top of it. Dippers - Mating in the Forest of Dean!